Antioch, IL- July 19, 2015 - The second in the series of four Chicago Equestrian special event derbies will take place Saturday July 25th at Annali-Brookwood Farm in Antioch, IL. Rush and Caroline Weeden generously offered their beautiful farm, Home of the Show Hunter Hall of Fame Chicago Hunter Derby sponsored by Canadian Pacific, for the event. The derby day offers a 2’ Derby, 2’6” Derby and 3’ Derby. 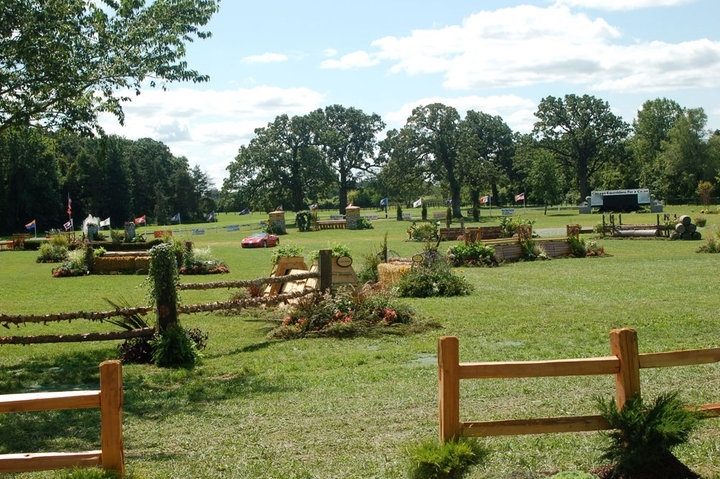 The course will be inviting and beautiful, designed by Rush Weeden and Diane Carney, two of the original Chicago group of hunter derby creaters. Carney, USEF R HU/EQ/JP licensed official, will also judge the event. 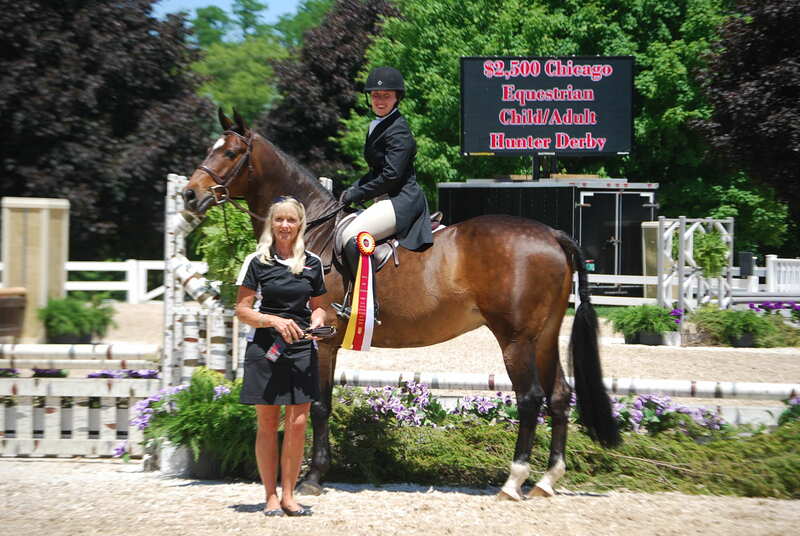 Annali-Brookwood Farm, home of the Show Hunter Hall of Fame Chicago Hunter Derby. The one day event offers fantastic prizes including SmartPak bridles, coolers by Ann Hubbard’s Tack Shop, Walsh halters, baseball hats autographed by top Hunter Derby rider Jennifer Alfano and Jersey Boy along with other great prizes. Awards will be presented for highest score of the day, best turned out horse, leading professional rider, leading junior rider, leading amateur rider and more. One lucky exhibitor will receive two VIP tickets ($550 value) for the Chicago Hunter Derby in September courtesy of Chicago Equestrians for a Cause. Enjoy a marvelous complimentary lunch by Kevin’s Catering during the event, sponsored by Wisconsin Equine Clinic, along with some shopping at several vendor displays. A USHJA Judge’s Perspective clinic will take place in the afternoon for riders who wish to review the judge’s card with Carney and then get to re-ride the course. 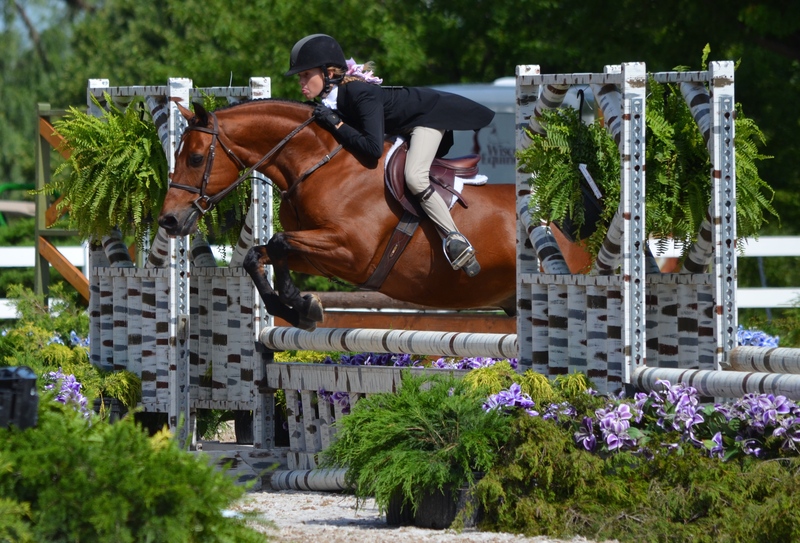 The weekend offers two Chicago Equestrian Hunter Derbies with the second one taking place at Ledges Sporting Horses on Sunday, July 26th. Rack up your points for the series awards by attending them both! 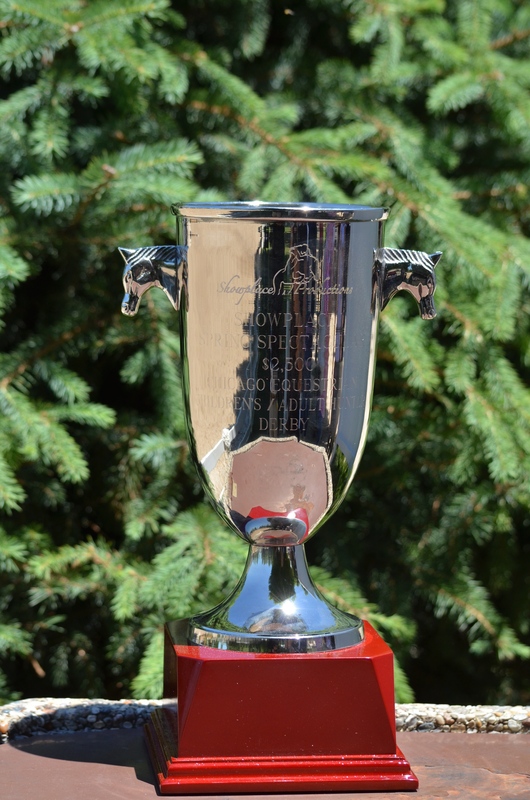 Outstanding series awards will be awarded after the final derby at the IHJA B Finals, which will also be a double point derby along with the Wisconsin Equine Derby Weekend, August 14-16th, in West Bend, WI. Series awards include Walsh shipping halters, Chicago Equestrian jackets by G4 and $200 Devoucoux gift certificates to name a few. 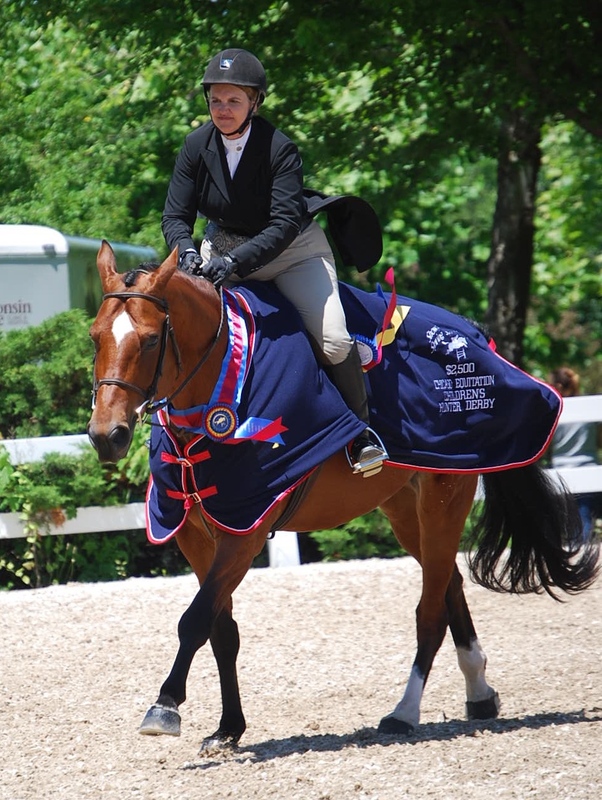 Sunday, July 26th is the Young Horse Farm Club Show at Annali-Brookwood Farm, offering the opportunity for riders to bring their young horses to school on the inviting course. Please visit www.chicagoequestrian.com for the prize list or email info@ChicagoEquestrian.com or phone Brenda Mueller 262-391-6630 for more information. Showplace Production’s Spring Spectacular III held the first double point Chicago Equestrian Derby during Derby Day at Lamplight Equestrian Center June 16th. The day featured the $2,500 Pony Hunter Derby sponsored by Littlewood Farm and the Hoch family along with the $2,500 Chicago Equestrian 2’6” Children’s/Adult Hunter Derby sponsored by Wisconsin Equine Clinic. Exhibitors and spectators were treated to a fantastic breakfast courtesy of Margaret Clayton’s Palladia Farm in Green Oaks, IL and Diane Carney’s Telluride Farm in Antioch, IL. Course designer Skip Bailey set an eye-catching track in the Wisconsin Equine ring, just one ring over from the Grand Prix ring where the USHJA National and International Hunter Derbies took place. Taking top honors out of a field of 36 riders in the Chicago Equestrian Children’s/ Adult Hunter Derby with an overall score of 162, was Maria Kogen (pictured above) with her handsome bay, Belgian Warmblood, True North. Their second round score of 84 moved them up from their sixth place spot for the win in her first derby. “I was very nervous! I just tried to be as slick as possible and make moves that others weren’t doing to try to get some extra points,” said Kogen on her round today. The pair has been together for about a year and a half and has already had success, winning the Marshall and Sterling Adult Final last year. Kogen trains with Scott and Josie Gentry at HBG Equine in Bristol, WI. Kogen has her sights set on doing more derbies and qualifying for another series final this year. In second place was Caroline Foster aboard Asiago with a final score of 160. Foster trains with Margaret Clayton and Lexi Tantimonico at the newly remodeled Palladia Farm. Twelve-year-old Natalie Jayne of Elgin, IL rode to victory in the $2,500 Showplace Productions’ Pony Derby aboard Cleverist owned by Daisy Farish. Jayne entered the second round with a first round score of 85, and finished with a final total of 159 for the win out of a field of 30 ponies. “For the second round I was just trying to relax and not hurry the distances. He’s so smooth; I know he’ll always jump. He’s a sweet pony,” said Jayne of her mount. This is not the first victory for Jayne, who started riding Cleverist in November. The two were champion five times at WEF and Reserve Circuit Champion. Jayne is trained by her mother, Lynn Jayne. In second place was Hidden Springs Woodstar and Elizabeth Woods with a final score of 156 followed by Rollingwoods Cowboy Up and Hannah Hoch with a score of 153. Special Thanks to all of the Chicago Equestrian Hunter Derby Sponsors. For more information on the derby at Ledges July 26th and the B Finals Derby, visit www.Showplaceproductions.com. For the Wisconsin Equine Derby Weekend, visit www.oldseoulequestrian.com. 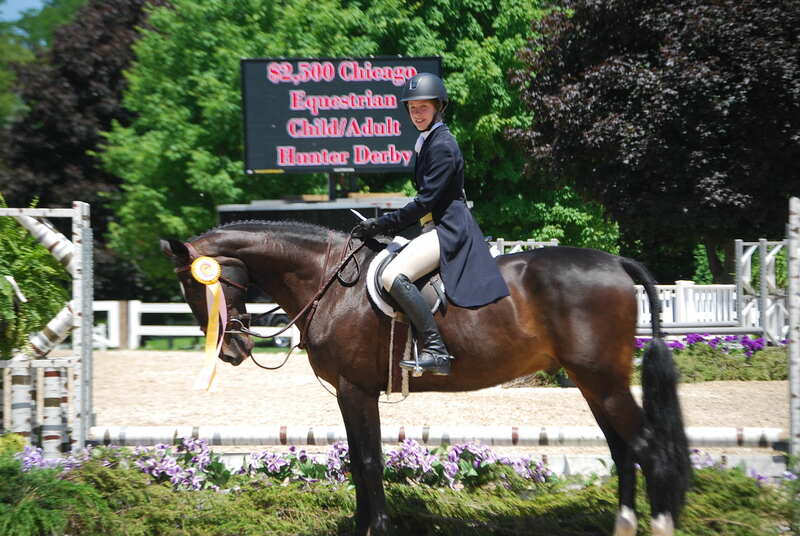 For the Young Horse Farm Club Show, visit www.ChicagoEquestrian.com.